DARMSTADT, Germany – Jan. 24, 2019 – TE Connectivity (TE), a world leader in connectivity and sensors, has extended its portfolio of M12 connectors to include L-code PCB/panel types that offer a compact high-power solution for automation devices. TE, TE Connectivity, the TE Connectivity logo and EVERY CONNECTION COUNTS are trademarks of the TE Connectivity Ltd. family of companies. 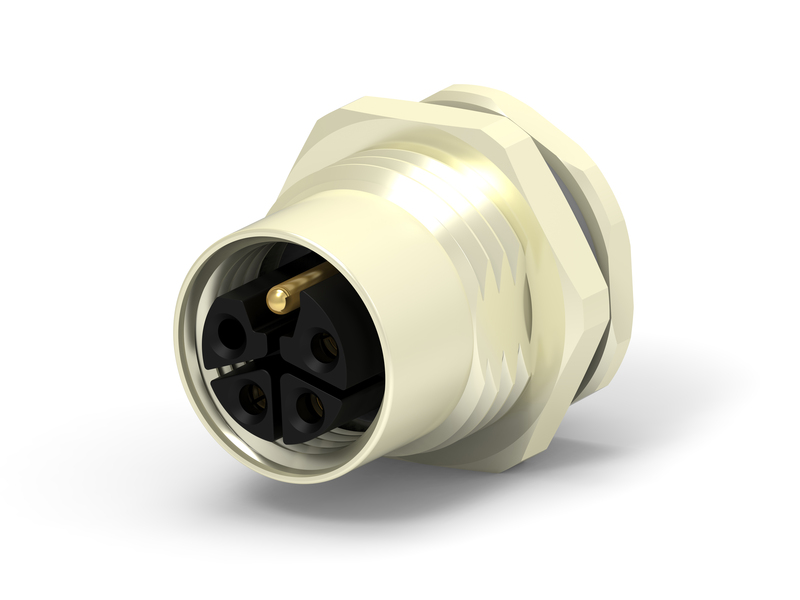 TE Connectivity extends M12 portfolio with the L-code PCB/panel-mount power connectors.